Postgraduate study is increasingly common these days. For some the choice is a logical decision to render oneself more competitive in the labour market; for others, it’s simply due to the requirements of a chosen career path. Still, others pursue postgraduate studies because they want a change of direction. 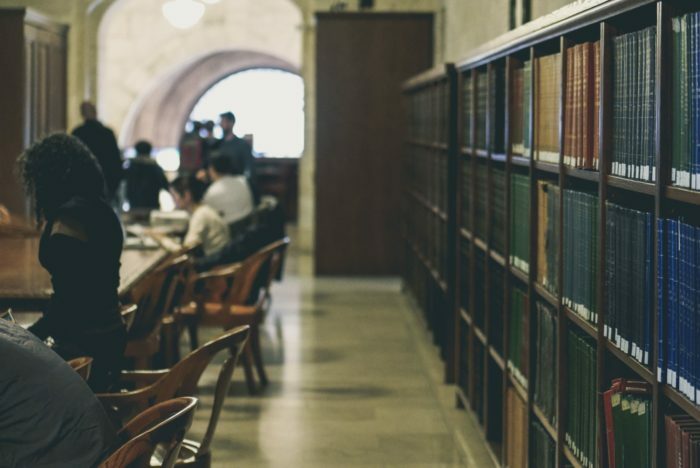 Irrespective of the reason, it is vital that Christians in academia maximise their postgraduate years for the Lord—especially as many are older and more mature Christians who are more able to serve. In the spirit of John Piper’s brilliant Don’t Waste Your Life this article seeks to highlight some dos and don’ts for the Christian postgraduate. I will draw from my own experiences and regrets as a doctoral candidate—not because I have it all together, but because it might help others to hear about things that I wish I had done from day one. ‘Grant me aid by your Holy Spirit to work fruitfully now in my vocation, which is from you, all in order to love you and the people around me rather than for my own gain and glory’. Do not let your identity rest in your field of research, but always in Christ. Share with your colleagues that you are Christian, whether it be when others ask you about yourself or when you’re asked about what you did on the weekend (went to church/Bible Study). If you lecture or tutor, mention your faith in passing as you introduce yourself, especially if your research links to your faith. This will encourage Christian students present and make an impression upon those not of Christ. You may find that you are the only Christian in your department, and so accordingly you will be literally become a yardstick for Christ! Seek to model Christ everyday by trying not to complain, and showing patience, trust in the Lord in your anxiety, and joy in Christ amidst difficulties. Pursue and live out holiness, guard your tongue and speak differently, be different in your entertainment habits and hobbies, forgive one another, treat others with love and respect. These differences will be noticed and will add testimony to the sharing of your faith in Christ. Whether or not you are a social butterfly make an effort to go to events in your department, to morning teas, public lectures, book launches, especially when your peers will be present. Make friendships, form networks. Be involved in your department, take tutoring, do marking. This is not only for your wellbeing (in not being a hermit); not only good experience for your career—but it will help you make genuine relationships that might lead to opportunities to demonstrate Christlikeness and share the Gospel. So have lunch and coffees with your peers frequently and organise group hangouts, especially in the early seasons when time is plentiful. In research there are pressures to always work and to only talk about work. Please be different. Be a friend, not just a colleague, and intentionally share your faith. Set goals in this, and ask a mentor to hold you to account. We are called to make disciples, and as Christians it makes sense to do this where we are placed. Find a younger Christian on campus and disciple them, whether they are from your church, denomination, Christian group, or friendship group. We should prioritise doing this with a non-Christian peer as well. You don’t need a theology degree to do this, you simply meet with them, read through a book of the Bible, pray together and encourage and support them in their life and studies. This will be a blessing for you both. If you have an office on campus have an open door policy, tell people that if they need a chat or have questions about Christianity they can drop by your office. Find an older Christian and meet with them regularly for them to disciple you, open yourself to their teaching and correction in your life, for you need to be discipled too (I have really benefitted from this). Be involved in a Christian group on campus, such as AFES. This will contribute to your growth in love for, and maturity in, Christ. It will also provide fellowship with the saints and grant you opportunities (as an older Christian) to serve the younger believers and to spur them on to love and good deeds. What an amazing privilege to be the older brother or sister to an undergraduate student and to model Christ to them. Lead a prayer group, help with a barbecue, hand out fliers, and talk to people about Jesus at stalls on orientation days. Open yourself for going beyond your comfort zone to grow in confidence in evangelism and relational ministry, especially if you are an introvert like me. Postgraduate studies are busy and tiring, and it is very easy to allow God to take a lower priority. It is shameful that some of us command expertise in our fields and yet are but high schoolers in our faith and knowledge of the Word. Attend to making habits of Bible reading and study, prayer, and meeting with the saints. If you do not put in place habits early on you will struggle to do so later on when time pressures intensify. Feed yourself on the Word, be on your knees in prayer, and take time to study theology during the week, such as the Puritans or other classics; Desiring God and HeartCry Missionary Society have two reading lists to try. Listen to sermons when you exercise, prepare and eat dinner—it’s better than mindless television or music. Postgraduate study is difficult, stressful and tiring, but it’s a wonderful privilege. Be thankful in being one of the most educated people in the world and human history. Hone your gifts and interests. Squeeze every drop out of it, because you will likely not get another opportunity to do so again. If you are an undergraduate considering postgraduate studies next year please give serious thought and prayer to the points of this article and how you can apply them from day one. Talk this over with your pastor, mentor or an older Christian you trust. If you are currently mid-way through postgraduate study, please likewise come to the Lord in prayer and seek guidance on changing how you represent our King at university. If you are coming to the end of your candidature and you feel at loss for your spent time, fear not. Come before God, repent and ask His forgiveness, and ask Him to help you redeem and maximise your time. In all things set your eyes of Christ and seek to live every day in His service.